The bamboo shoots, also known as wolfberry whites, are specialties south of the Yangtze River in China. The main producing areas are in central China. The bamboo shoots are delicious and contain proteins that are easily digested by the body in addition to minerals. For the storage of bamboo shoots, late-maturing species must be selected. The maturity of harvesting should be appropriate. If the yield is too low to be harvested prematurely, it will not be able to show the unique flavor of bamboo shoots. If the harvested meat is too late, the meat will be rough and it will not be edible. When the bamboo shoot matures, the leaves of the center of the stem are gathered together, and the two outer leaves are also closed to the stem. The heart leaves are shorter than the outer leaves, the "white eyes" are formed on the leaf sheaths, and the "white eyes" are shaped like a bee waist. The bamboo shoots that are to be stored are left with about 30 cm of clam shells to protect the flesh. The storage process of bamboo shoots is also a gradual aging process of bamboo shoots. The bamboo shoots were harvested when the seven or eight matured. After harvesting, the internal moisture gradually decreases, the shell changes from green to yellow, the flesh gradually becomes blue, and it ages and becomes moldy. The high-temperature and low-humidity changes quickly. On the contrary, low-temperature and high-humidity changes slowly. Direct light also accelerates change. Therefore, the key to storage and preservation of bamboo shoots is to create conditions to slow the aging process. Suitable conditions are 0-1Â°C and a relative humidity of 95-100%. In addition, pay attention to ventilation and antiseptic disinfection. The collected bamboo shoots should be carefully selected. Choose the white meat, thick branches, solid, old and tender bamboo shoots with two or three pieces of clam shell. Cut the clams appropriately and operate lightly so as not to hurt the meat. Avoid direct sunlight during storage and transportation. Store the bamboo shoots in a cool place to dry before cooling. Braised bamboo shoots can be stored with or without shells. Common storage methods include room temperature storage at room temperature and cold storage at cold storage. Indoor room temperature accumulation is mainly used to regulate the market supply during the peak season, and only the bamboo shoots are piled on the ground. Can only keep fresh for 6-7 days at 15-20Â°C. The cold storage can be stored at low temperature and can be stacked in a basket or tied into a bundle of 5 kg and discharged on the shelf or on the ground. The peeled shoots can also be sealed in a 0.04 mm film bag. It can be stored at 0-1Â°C for more than one month and two months, with less weight loss and good product appearance. We are a young, energetic, and competent company, specializing in high quality Sweeteners for food products, Collagen for good health supplement products, pharmaceutical intermediate for medicines, and technical active ingredients for biocidal products. 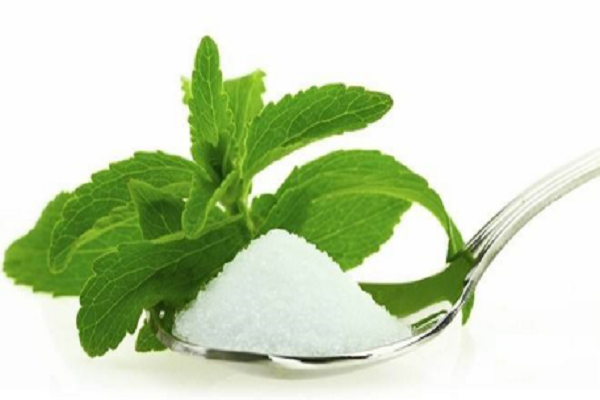 We have different lines of sweeteners, natural sweeteners are novel sweeteners, and we have our own brand, its NovoSweet. All our NovoSweet Natural Sweeteners are extracted from plant and fruit. We guarantee that the process of production is natural and clean, and all our purification stage is doing under GMP standard workshop. We also have organic certificate for our NovoSweet Natural Sweeteners. ï¬Natural, it is extracted from plant and fruit. ï¬High in sweet, Low in calorie. ï¬Low cost, they are widely used in food, beverage, medicine, wine etc. ï¬Complete products line for all series of the extractions. ï¬The sufficient capacity of GMP standard workshop covers all customers` demand.